When you hear the word statement, you may think over the top, too in your face or too overwhelming for you. How often do you find yourself skipping over a statement piece just because you’re not sure on how to style it? Even if the answer is once, that’s one time too many. If you love it and want to try it out, you should be able to do that. Limiting yourself to certain styles, colors to prints is only stopping you from being more stylish. Statement pieces, colors to prints are easy ways to add personality to your outfits and help make your outfit your own. By sticking to the same outfits, colors, styles and prints, you eventually get bored of doing the same thing over and over. Adding in a statement bag is an easy add-on and an instant way to update your look with a little personality. While a statement is in fact a statement, there are other ways to wear a statement piece where it feels more toned down. When in doubt, style with your basics. Your wardrobe basics will make it easier for you to pull off a statement bag without it being too overwhelming. 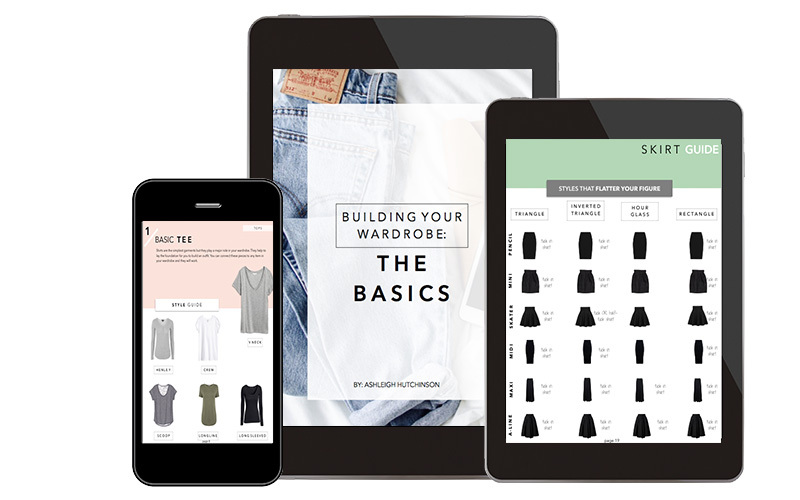 I’ve styled 140 different outfit ideas surrounding your basics in Building A Wardrobe: The Basics eBook, use this as your guide to start adding new styles into your wardrobe that you often avoid. Your basics make it easier for you to step outside of your style comfort zone. These 4 outfits are samples from Building A Wardrobe: The Basics eBook. When putting together your outfits using this guide, you don't have to second guess if a statement bag will work - because it will! Your statement bag will be a quick throw on to your outfit and an instant touch of personality. Below are more statement bags that will make a great addition to your wardrobe!